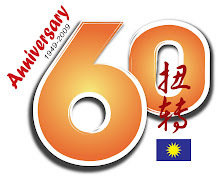 MCA Penang State Liaison Committee strongly condemn the derogatory and inflammatory remarks made by Lim Guan Eng at the several dinners attended by him in conjunction with the Hungry Ghost Festival celebrations in Butterworth in the past few days. 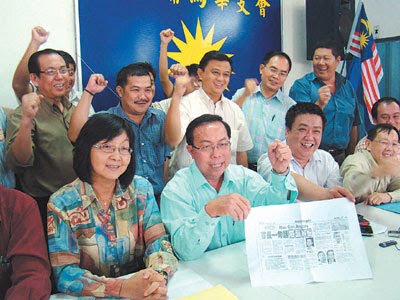 Lim first uttered the remarks describing MCA as Money Collecting Agency in English and Mau Cari Angpau in Bahasa in a dinner at Taman Dedap Butterworth on 30/8/2009. Being upset with the derogatory and inflammatory remarks , a group of MCA loyalists who attended the dinner on that night rushed towards the stage and demanded Lim to stop making unfounded and irresponsible remarks. 他说, 林冠英一再的发表”连巫统都不怕”, “别人不要我讲, 我就敢敢讲”言论, 只会更显露出其嚣张, 跋扈, 这种是什么人品, 聪明及有智慧的槟州子民是会看到的. 他说, 林冠英一直在标榜自己高高在上, 谁都不怕, 可是为何会对人民公正党实权领袖拿督斯里安华的指示唯唯诺诺? 连峇东巴西补选时州政府不列公假, 还要由没有在槟州担任任何要职的安华来宣布, 槟榔路小贩的问题, 也是安华介入来解决, 这是怎么一回事? 马华很厚道, 我们不说林冠英”怕”安华, 也不会说林冠英能力不如人, 更不会说林冠英是安华的”傀儡”, 我们只希望槟州子民认真去看待, 一个标榜天不怕地不怕的人, 对于其他政党领袖, 自己所特是什么态度, 从这里, 我们可以好好衡量一个领袖的领导才华, 这就是现今槟州首席部长的领导能力.